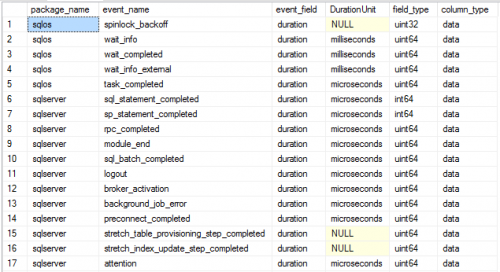 Below is a snippet of the result set from a SQL 2016 SP1 server. If you look at the DurationUnit column and you can see 3 different values. 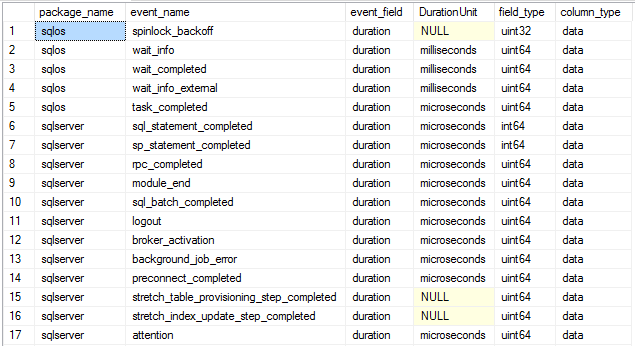 For NULL ones I find the best option is to run (if possible with start and end time) and fine what the unit is. I ran the same query against vnext (SQL 2017) SQL Server and confirmed we will carry the same confusion to the future.